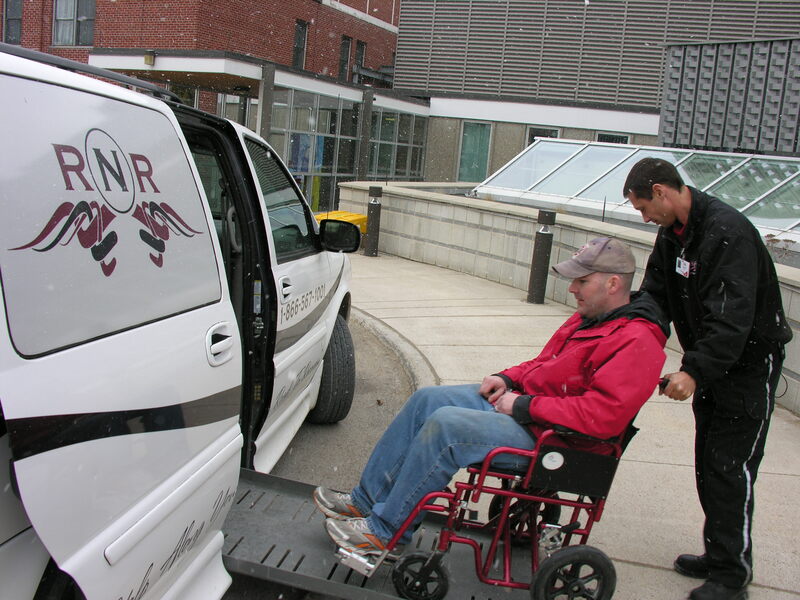 RNR offers wheelchair accessible transportation for patients with mobility disabilities. Our vans are equipped to provide a safe and reliable source of door-to-door transportation service. RNR drivers will assist the client from pickup location to end location, tending to their needs along the way. If required, our staff will look after patient sign-in at the front desk of a healthcare facility, arranging an appropriate pick-up time and location. Patients can use their own wheelchair in the transfer, or RNR will provide a wheelchair for no additional cost if one is needed. We want our patients to feel comfortable and secure at all times and RNR and its staff will strive to make your transfer as smooth and seamless as possible. We understand that the presence of a familiar face can make a patient feel at ease, and therefore we encourage family members and/or caretaker to accompany patients to and from nursing homes, or medical facilities. Whatever we can do to offer a comfortable ride for our patient, RNR is ready and happily willing to do so. All drivers are certified and trained to handle the sensitivities of people with disabilities, the elderly and other patients that need assistance with transportation. Our professionals will do everything possible to provide the necessary support needed for a smooth transition. For more information or to book call 1-866-567-1001.